As a book printer King Printing believes in offering its customers solutions to their production needs. That is why we focus on the entire process and not just one piece of the puzzle. Whether it's warehousing, inventory management, or kitting services that you're looking for we have the solution. 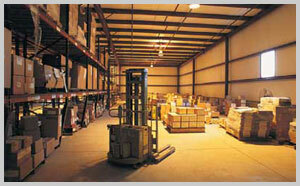 Customers may take advantage of our secured storage facilities for the efficient management of their inventory. Our computer-controlled warehouse can store completed kits (1 SKU #), individual components that we manufacture, or peripheral items that are shipped to us. We'll keep you apprised of your inventory status with daily reports, or if you want we can take the responsibility of replenishing dwindling supplies.